This is true in business, health, and can even be applied to personal life. The fact is unless an individual is able to organize, analyze and process the data they’re working with, reaching an accurate conclusion can be difficult. Firstly, because one needs to know exactly what they’re working with. And secondly, because organizing the information in an orderly log provides a more clear picture, which makes the decision-making process much easier. It shows that, when individuals are more positive, they gather more information from the outside world. With more information, people can make better and more clear choices, which is always a good thing. What Is A Mood Chart? And For Who Is It? To have a better understanding of what we’re measuring when looking at moods, we can start by agreeing on a few definitions on which to build our conclusions. There are three key terms that will assist us in the process: affect, emotions, and mood. One’s personality can influence the way a mood is displayed, and the actions that one takes during such phases. 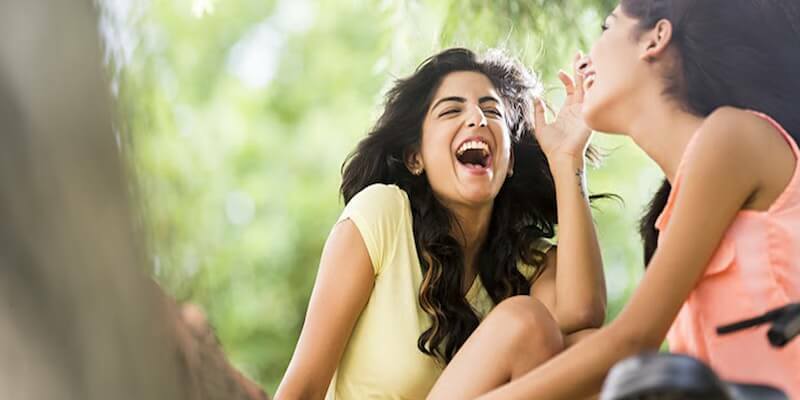 People who are more optimistic and positive, who gather more information from the surrounding stimuli, are able to have a better view of reality and adjust their actions according to what’s going on at that moment. This feedback loop might strengthen the negative thoughts, and prolong the experience of such negative feelings. As the incoming information from the outside world is limited to only that which agrees or supports the dominant thoughts in the mind. Without an ability to have a more accurate view of the environment, a biased and more subjective mental state is created and maintained. 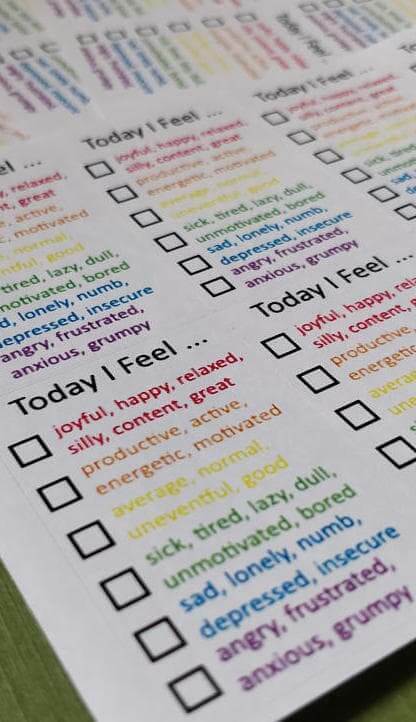 This is where the tracking benefits of mood charts can provide crucial information about when, where, and how often such moods are experienced and expressed. With enough data and information, a pattern of the highs and lows can be identified, as well as the factors that may have caused them. 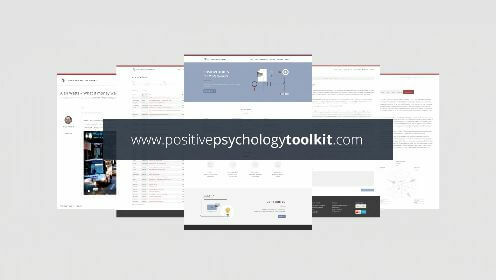 This tool is handy for those experiencing depression, bipolar disorder, anxiety, but also those wishing to know more about themselves. Why should we care about tracking and noticing our mood patterns? Well, because the way we feel impacts the way we think. And the way we think determines the actions we take, which in turn influences our experiences and ultimately, our feelings. This is a good example of how connected and cyclical our systems are. The below quote by Darwin emphasizes the connected nature of our body organs and adds some explanation to this phenomenon. “When the mind is strongly excited, we might expect that it would instantly affect in a direct manner the heart; and this is universally acknowledged and felt to be the case. Claude Bernard also repeatedly insists, and this deserves especial notice, that when the heart is affected it reacts on the brain; and the state of the brain again reacts through the pneumo-gastric nerve on the heart; so that under any excitement there will be much mutual action and reaction between these, the two most important organs of the body.” Darwin, 1872, p.69. A continued mood imbalance, in either the positive or negative outlook, leads to a lopsided view of the world. Rather than seeing reality as is, and making objective decisions based on available information, individuals focus on and pick up stimuli that support their dominant thoughts and emotions. 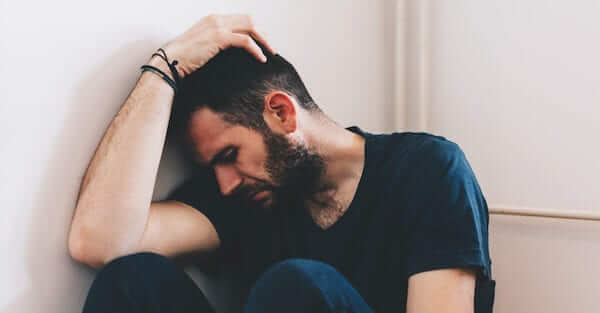 Having a mind that’s filled and occupied with ruminating negative thoughts and self-talk leads to aggression, hopelessness, and can cause depression, suicidal thoughts, anxiety, as well as a slew of other mental illnesses. This is why tracking one’s mood can be useful not only for individuals currently suffering from mental illnesses but also for those wishing to add more balance and objectivity to their lives. There are several tools available that organize and track moods, and other factors that influence the way we feel and think. One such easy and simple tool is known as the Bullet Journal Mood Tracker. The name itself ‘bullet’ readily suggests what to expect from this process: clarity, organization, and effectiveness. And the fact that creating such a tracker can be done by the individual suggests there is a lot of autonomy for the person, as they can monitor exclusively the items most applicable to them. In many ways, it’s a part planner, as the person lists the activities they want or need to accomplish, but also part journal, as the emotions and feelings for that day can be identified. The relationship between the activities and the emotions felt at the end of the day is what provides the data for pattern observations. 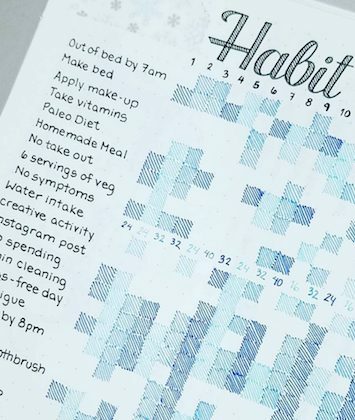 This bullet journal system was developed by Ryder Carroll, a Brooklyn-based designer. The inspiration was to provide a rapid logging process, which takes less time and effort than traditional long handwritten entries. short and simple title, as well as page numbers. Bullets – organize the actions and entries into: tasks, events, and notes. the status of that task, for example: X – task completed; > – task migrated;< – task scheduled. above topics. These can include facts, thoughts, ideas, and observations. Index – a repository of topics featured in the journal, with their relevant pages. Future Log – items to be done or completed in the coming months. Monthly Log – a bird’s-eye view of actions/events coming up that month. Due to the flexible nature of such journals, the focus areas can differ from person to person, based on immediate needs, long-term goals, and other interests. Some common themes include: a daily log; a habit tracker (diet, sleep, physical activity, social life, and even stress levels); a mood tracker to identify the emotions and things that triggered it (ex: sadness, triggered by upsetting news, or personal events); and thoughts (ex: mantras; advise; interesting facts). For more inspiration and ideas on how to build and utilize the bullet mood journal, click to visit this website. Another way to identify moods and emotions is with mood rings. A simple chart that tracks your mood scale between 1-10 (10 being best, 1 being worst). Asks for your hours of sleep, and provides a space for comments. A chart built by Harvard’s Dr. Peter Brigham. The categories on this chart and more in-depth and include categories such as: Exercise/Medication; Energy/Mood; Sleep; Irritability (on a scale from 0-3); as well as an area for Events/Notes/Observations (to track triggers of the mood). This chart, offered by the Gateway Psychiatric Services provides a space to review Actions; Sleep (by looking at the time went to bed and time got out of bed, and total hours of sleep); Energy levels, that cause intensity or impulsivity, as well as, Slow moments of Dullness/Obsessing. As always there is a room for Events, or memory cues, for that day. The saying goes – keep it simple, stupid, and that’s exactly what this chart provides. It strips down the tracking to the bare minimum of: mood level, sleep, energy level and a space for notes. Those wishing to use their creativity and create a personalized mood chart can use this step by step process provided by WikiHow. The steps are simple and straightforward. Decide the format, what you’ll be tracking, create a rating scale, determine how often you will be charting and tracking, and then start using. Living in this technological age has its advantages. There are many apps available to help you track your mood without the need of a pen, paper, or journal. Your dedicated smartphone could be your closest companion. Here is a list of various mood apps and a comparison between what they provide based on: price; happiness level; different emotions; correlation located to your mood; correlation to the treatments of your mood; correlation of people to your mood; correlation of activities to your mood; and creating your own items to correlate. PsychEducation lists their top 4 programs and apps that can assist you in tracking your moods and emotions. These include: MoodPanda; BeatingBipolar; Optimism program; and Emotion Sense. Managing emotions is a challenge every individual faces. For some, recognizing and managing emotions can come easy, for others, not so much. Especially for individuals suffering from a mental illness, such as depression, anxiety, bipolar disorder, and others. As the mind becomes subjective and sensitive to only a particular type of stimuli, it takes away one’s ability to objectively view and review the changing patterns of mood. This is why mood journals and mood logs are such necessary tools, to tracking, understanding and examining the patterns of emotions one experiences, as well as the triggers, situations, and events that cause them. Rather than just noticing a change in mood, mood journals also show the possible causes for such changes. Equipped with this information, individuals can have concrete data to spark change and improve their habits, through the introduction of more productive coping techniques. The date and time (of the event). Internal thoughts (the memories and thoughts being entertained by the mind). Suggesting how a well-adjusted person would react to the situation. Comparing the current mood to that of the well-adjusted person. A printable journal that lets you note the date and time of the event, the mood change that occurred, external factors, as well as internal thoughts and memories that were experienced during the process. The application lets you keep notes, browse the history of your records, understand the associations between the moods and the experiences, as well as input information about sleep, medication, and even take pictures to see how your moods affect you physically. Created by Dr. Burns, the log examines the change in emotions, such as: sadness, guilt, hopelessness, loneliness, etc., and has room to write other emotions as needed. There is also a section to write the thoughts and distortions that may have influenced the change. Here’s an even more simple chart. This one includes the day and time; mood/emotion, and comments that look at the thoughts and situations that led to it. This electronic app lets you track your mood and activities, without having to type a line of text. Just look through the list of emojis and symbols, and pick the ones that apply to you. This is an easy to use app that lets you pick the emotions as you’re feeling them throughout the day, or day to day, and provides a place to take notes or leave comments about the triggers that caused them. There are also apps for other mental concerns, such as anxiety. Refinery 29 has listed 14 apps that will help you track and manage your symptoms. For more ideas and applications, check out the list of 5 best journal and diary apps for 2018 recommended by Make Use Of. The mind can be a tricky thing to manage. In some moments it cooperates, and in others, it runs loose. Being more understanding of these changing emotions, and approaching them with curiosity, can make a big difference in the coping habits we utilize to deal with such ranging highs and lows. There are many tools available at our fingertips that can empower us to take charge of our lives, simply by just noticing how we feel, and what triggered it. With minimal time and effort, we can start taking note of the patterns that our lives go through and adjust accordingly to the data that emerges. At the end of the day, no one can take responsibility for our lives, but ourselves. Hokuma Karimova is an advocate for better living. She believes in a world where individuals can lead authentic, happy, and satisfied lives. To help create this world, she recently expanded her skill set by adding new titles to her name: Yoga Instructor and Life Coach. With a Bachelor’s degree in Psychology, and a Master’s degree in Sustainable Development and Corporate Social Responsibility, she hopes to combine her social and scientific knowledge to create a map to self-realization that anybody can follow. Amazing Blog! I would like to appreciate you for sharing it. I have never read this kind of blog and you explained all the points well. The photo selection is appropriateness for the piece, natural and real. No pseudorisus here. This is the best way that we can look here for. I really love all the content you’ve made, these articles are golden mines that I think will be very useful to many people. Is there any way I could contact you for some guidance?